This week the Sierra Club launched an new in your face advertising campaign on Washington, DC’s Metro (subway) system. 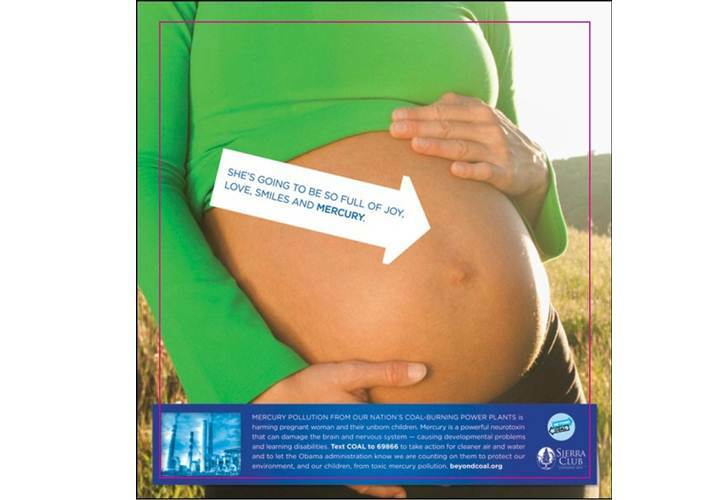 The clever advertisements offer images of pregnant mama bellies along with information about the excessive levels of mercury most children are exposed to. This bright new ad campaign will be featured prominently in a full 160 cars throughout the Metro system. Massive ad exposure on this topic is a good thing. According to Sierra Club, “As few as 1 in 12, and as many as 1 in 6, American women have enough mercury in their bodies to put a baby at risk. 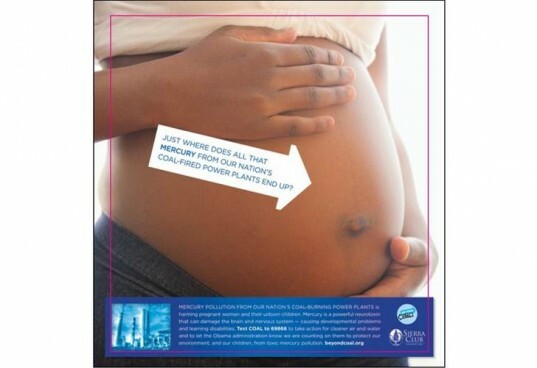 That means that each year more than 300,000 babies are born at risk of mercury poisoning.” These ads specifically highlight the dangerous levels of mercury pollution coming from coal fired power plants and the need to institute strong protections for Americans, protection that is moving incredibly slow.